Melbourne’s iconic retail strips have continued to thrive and reinforce their position as the heartbeat of their local communities, with new research from Fitzroys showing they appear to have moved through the worst of the retail industry upheaval. “In addition to this there are a huge number of personal care businesses such as hairdressers, beauticians, skin care clinics, masseurs and gyms opening in the strips, into locations they previously wouldn’t have considered. Evergreen Church Street, Brighton returned the tightest vacancy, in from 2.7% to 1.3% over the year to June 2018, and Upper Heidelberg Road in Ivanhoe remained at a similarly low level. Sydney Road, between Victoria Street and Brunswick Road, came in from 6% to 3%. Fitzroys Senior Manager, Chris James said that High Street, Armadale has been one of the best performers, returning one of the largest falls vacancy over the 12-month period, down from 7.9% to 4.1%. It is the strip with the highest proportion of specialty retailers in its tenancy mix, with 59%. Bourke said the move of Scanlon and Theodore from Chapel Street early last decade began a steady migration of a number of traders, and the strip now offers an enviable range of high-end fashion retailers to go with its renowned bridalwear offering. “While it is an outlier in terms of its high exposure to specialty traders and the difficult retail configuration, this is offset by its village feel, blue-ribbon catchment and nearby residential development,” James said. Rents along High Street have shot up by some 20% over the past several years to be one of the biggest improvers in Melbourne, with prime spaces now attracting $900 to $1,000 per sqm, with those in the adjoining Glenferrie Road, Malvern at $700 to $800 per sqm. Glenferrie Road, Malvern is also considered one of Melbourne’s strongest retail strips, with vacancies tightening from 7.4% to 4.6%. It has perhaps the most even tenancy breakdown of any of Melbourne’s strips – 32% service retail, 33% specialty retail and 31% food and beverage. James said its quality tenants and location enhance its well-balanced offering. 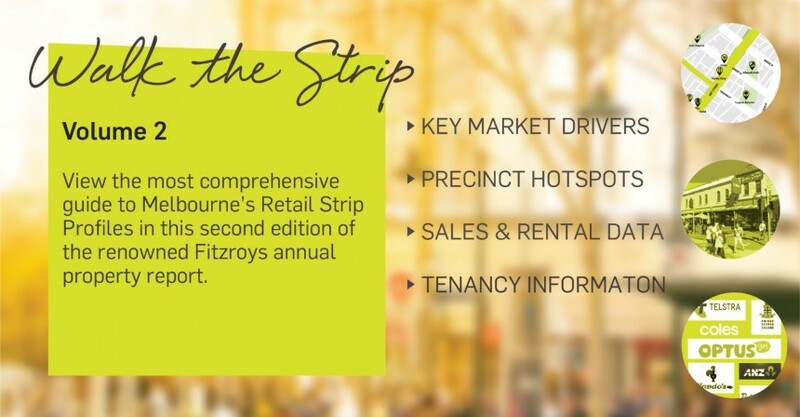 Fitzroys Divisional Director, Mark Talbot said Church Street in Brighton has a high proportion of specialty retail at 52% and remains home to the highest rents across Melbourne’s suburban retail strips, with prime shops commanding between $1,250 to $1,350 per sqm. 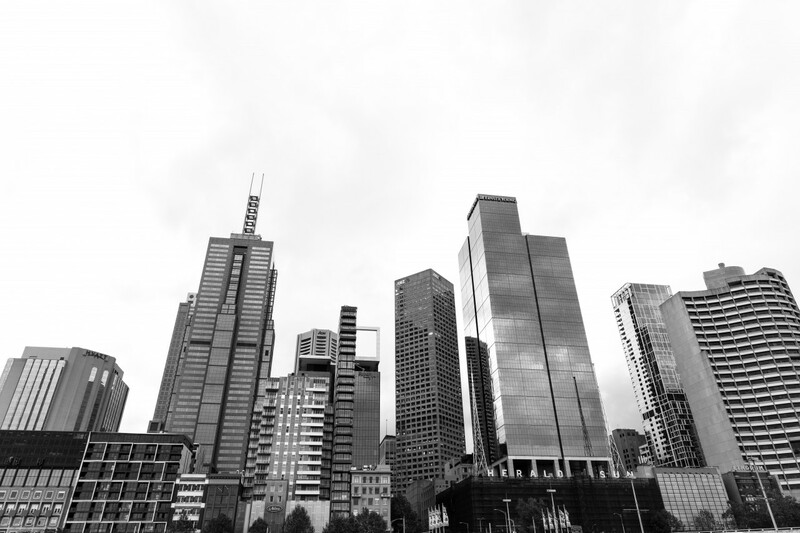 “The long queue of high-end and national tenants for space in the strip is reflected in its continually low vacancy rate, which is constantly supporters by its constrained supply and location within one of Melbourne’s most exclusive suburbs,” Talbot said. Conversely, the changing dynamic of once-dominant Chapel Street has seen prime rents tumble from around $1,400 at the strip’s peak to around $900 to $1,000 per sqm. Like High Street and Church Street, Chapel Street has a considerably high 53% of specialty tenants, but the constant turnover of tenants has seen that an increase in food and beverage tenants and a different fashion offering overall. Despite its vacancies easing out from 15.1% to 18.1% over the 12-month period, the strip is in a transition phase and its future viability is underpinned by major commercial developments in the pipeline to further complement its position next to the super-dense Forrest Hill high-rise precinct. Stonnington City Council has also just approved Newmark Capital’s plans for a redevelopment of the iconic Jam Factory precinct in the heart of the strip with an estimated end value of $1.25 billion, joining the 10-level, 176-room Aloft Hotel development at 402 Chapel Street and the 50-level Capitol Grand tower on the corner of Toorak Road is under construction. In addition, a hotel and restaurant development is expected at 461-471 Chapel Street, and a $55 million, seven-level mixed-use project at 430-438 Chapel Street. Fitzroys Associate, James Lockwood said that also benefiting from the development is the adjacent Toorak Road, South Yarra strip, which now has one of the highest hospitality tenancy proportions with 37%, and vacancies have come in from 9.1% to 7.5% as rents have moved to $650 to $750 per sqm. Lockwood said Bay Street, Port Melbourne and Toorak Road, South Yarra have proven to be the best examples of medium and high-density residential enabling a turnaround and thriving of retail strips in the early part of this century. Bay Street vacancies have come in from 7.2% to 4.9%, with rents now at $700 to $800 per sqm. Those developments have also brought office space to the retail strips, benefiting Hampton Street and Puckle Street, the latter right in the middle of a Moonee Ponds overhaul. The suburb’s skyline is currently dominated by cranes, representing a high volume of residential and office units being brought to the suburbs. Glenferrie Road, Hawthorn, neatly positioned in the affluent inner-eastern suburbs and with a pedestrian flow boosted by the adjacent Swinburne University and prestigious schools nearby, attracts rents of $1,000 to $1,100 per sqm. “Food and beverage is key, as it serves the ongoing medium and high-density residential developments and is downturn-proof compared to some operators that have shown to be susceptible to the introduction of Amazon and e-commerce revolution,” said Fitzroys Director, Chris Kombi. The precinct has seen food and beverage tenants increase by 4% over the past 12 months – the biggest jump of the 23 precincts surveyed – as vacancy firmed to 6.3%. Kombi said Melbourne’s suburban strips would always provide a more unique hospitality offering compared to neighbourhood and sub-regional shopping centre. Brunswick Street in Fitzroy has also seen vacancies come down, from 8.0% to 3.8%, as food and beverage operators increase their presence in the strip to a high 39%. Prime rents in the popular inner-north lifestyle and hospitality precinct are now at $550 to $650 per sqm. Recent struggler Bridge Road saw vacancies in the Punt Road to Lennox Street section come in from 25.0% to 18.7%, while the section from Lennox Street to Church Street eased out from 13.6% to 17.9% . Kombi said sale prices throughout Melbourne’s retail strips are being underpinned by the limited amount of stock coming onto the market. “Strip centre properties are becoming trophy investments and passed through successive generations of a family,” he said.